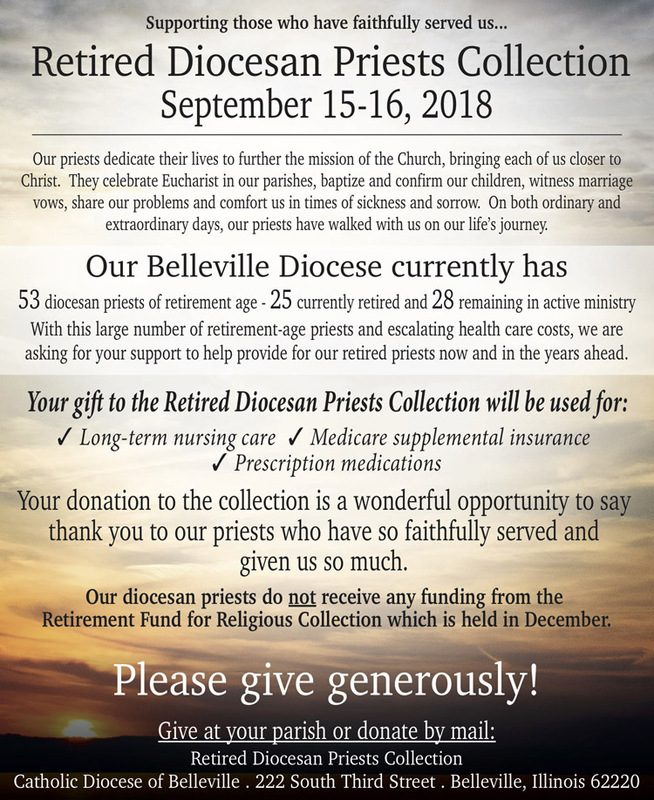 Thank you so much for your interest in contributing to the Catholic Diocese of Belleville, its agencies and programs. It is only through the generous support of people like you that we are able to bring our programs and services to individuals and families throughout the 28 southernmost counties of Illinois which comprise our diocese. We hope the following information is helpful to you in discerning how you wish your gift to be utilized. We assure you that your contribution will be used only for the ministry, program or service you have selected and pledge our commitment to you to be good stewards of the funds you have entrusted to us. Should you have questions or need assistance, please do not hesitate to call Judy Phillips at 618-722-5007 or Nancy Wade at 618-722-5009 in our Development Office. Thank you for your generosity; may God bless you always! Click here to donate to The Catholic Service & Ministry Appeal. Our Belleville Diocese is currently blessed with six (6) seminarians. Meeting the needs of their formation -- tuition, books, room and board and other expenses -- is approximately $47,000 per year for each seminarian. 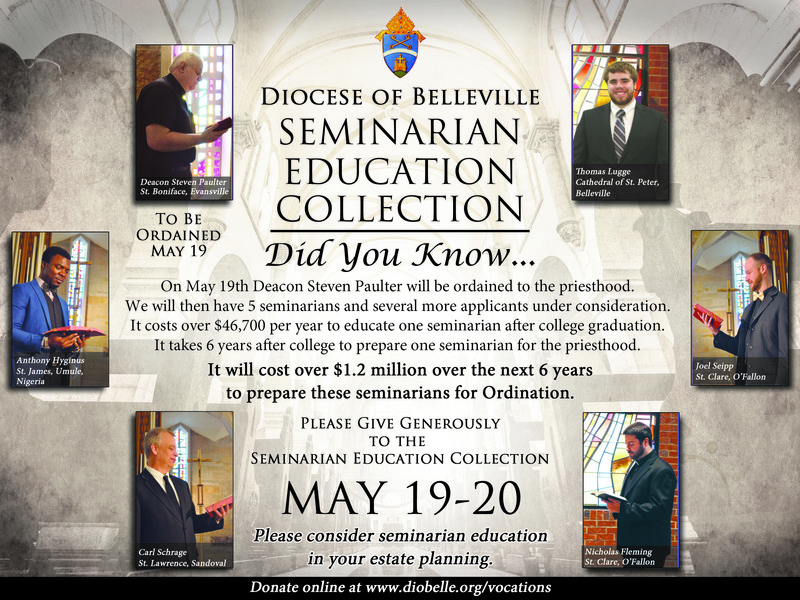 Your contribution to seminarian education is truly an investment in our faith and the life of the Church here in southern Illinois. To join these men on their journey to the priesthood with a gift to the Seminarian Education Fund, please click here now. Our priests dedicate their lives to further the mission of the Church, bringing each of us closer to Christ. They celebrate Eucharist in our parishes, baptize and confirm our children, witness marriage vows, share our problems and comfort us in times of sickness and sorrow. On both ordinary and extraordinary days, our priests have walked with us on our life's journey. Through a myriad of programs and ministries that provide pastoral, social and education services, each day the Catholic Diocese of Belleville serves the people of southern Illinois regardless of race, religion or ethnicity. The mission of this local Church continues only through the dedication, hard work and generosity of thousands of people each year. To advance this mission and help the diocese meet its most pressing needs, please click here to make your donation today!